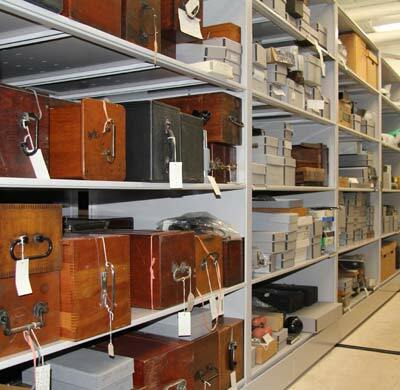 Internationally notable collections at the Dittrick include artifacts and literature on anatomy, endoscopy, microscopy, contraception, surgery, obstetrics and gynecology, and diagnostic instrumentation. H. F. Aitken collection of biomedical art. The photograph collection includes dermatology, dissection portraiture, physician portraits, photos of local hospitals, and many other miscellaneous topics. The archives holdings reflect the medical heritage of greater Cleveland and northeast Ohio. Its holdings include the papers of local medical societies and health care institutions, including medical schools, and hospitals. Also included are some physician’s personal papers, American Society for Gastrointestinal Endoscopy archives, the Cleveland Medical Library Association archives, and Charles Darwin letters. Strengths in our rare book include Freud, Darwin, dermatology, herbals, obstetrics, surgery, history of science and anatomy, as well as the library of Nicolas Pol, Renaissance physician to the Holy Roman Emperor.